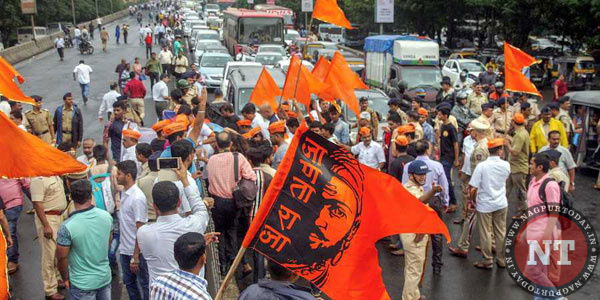 The Bombay high court on Wednesday refused to order an interim stay on the Maharashtra government’s new legislation providing reservation to Maratha community. A bench of Chief Justice Naresh Patil and Justice M S Karnik, which was hearing a public interest litigation challenging the legislation, however, agreed to grant a detailed hearing on December 10 to all pending petitions on the issue. The bench was hearing the PIL filed last month by lawyer Gunaratan Sadavarte opposing the Maharashtra government’s decision to provide 16 per cent reservation in government jobs and educational institutions to the Maratha community in the state. The PIL claimed the new law was in violation of the Supreme Court’s previous orders mandating that caste and community based reservation in states should not exceed 50 per cent. The state’s counsel V A Thorat opposed Sadavarte’s plea and told the bench that the petitioner could not seek a stay on the state legislation through a PIL. Advocate Thorat also argued that most of the pending petitions in the high court opposed the Maratha quota on the basis of the 2014 Act that provided for reservation to those belonging to socially backward communities in the state. But, the 2014 Act now stood repealed and the state legislature had recently ratified the new Maratha Reservation Act to cover the issue of quota for the community. “The new legislation takes care of all legal grievances that existed in the 2014 Act,” Thorat told the HC. At this, the bench decided to tag together all the pending petitions on the issue of Maratha reservation and hear them together on the next date. Maharashtra Governor C Vidyasagar Rao had last week approved and signed the Maratha Reservation Bill after the state Assembly unanimously passed it. The State Backward Class Commission had last month submitted a report to the government recommending reservation in government jobs and educational institutes to members of the Maratha community.